Butler Students for Justice in Palestine members, including Mark Williams and Roua Daas on the far left.Photo courtesy of the Butler Students for Justice in Palestine. It is with bad faith and a heavy hand that dissident voices are silenced. Disproportionate and asymmetrical debate is the heel that forces down the oppressed. Still, there are brave advocates who would rather weather the intellectually-dishonest discourse, at great risk to their own career, than be silenced by a manufactured consensus on what qualifies as an acceptable critique of a foreign government’s ethnic policies. When representative Ilhan Omar, Minnesota’s Fifth District freshman congressional representative, tweeted that it was important to research who donated to intensely pro-Israeli domestic policy candidates, it was implied that 1) she was un-American, but more importantly 2) she was anti-Semitic. After being smeared for expressing a belief that was pro-Palestine, Omar spoke at a town hall to interact with her constituents. At this event, Omar said she wanted to “talk about the political influence…that says it is ok for people to push allegiance to a foreign country.” Her “colleagues” responded by introducing an anti-Semitism resolution to condemn her. This could be a story purely about the political discourse surrounding the Israel/Palestine issue on the national level and about how the implication that pro-Israeli government equates to pro-Judaism is itself, deeply anti-Semitic. This could be a story about the challenges of criticizing an apartheid state when its defenders are so insulated. It is not that story. This is the story of students brave enough to effect change and provide a safe space for Palestinian students where there was once a vacuum. Last year, two students — Roua Daas and Mark Williams — set out to start an organization on Butler’s campus called Students for Justice in Palestine. 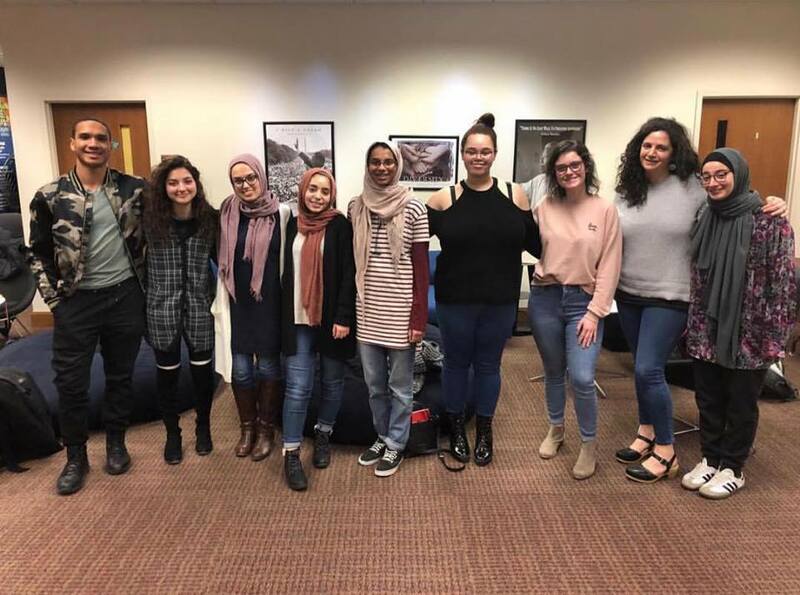 Students for Justice for Palestine is an organization that works to educate the Butler community on the issues and struggles that Palestinians face every day, but to limit the group’s scope to just that does it a disservice. SJP works to celebrate Palestinian culture and identity, to empower other Palestinians on campus, and to show the beauty of a culture that is rarely engaged with on a predominantly white, conservative campus. “I think that we try to the best of our ability to fit the needs of both making sure that Palestinian students on campus feel comfortable while also making sure that non Palestinian students are able to get that education,” Daas, the organization’s president, said. To address complicated issues, and to confidently stand against the spread of misinformation, requires a willingness to engage with criticism that is far too often rooted in bad-faith false equivalencies. The struggles SJP have faced have not always been outwardly visual but instead reflective of more internal, deep-seated issues societal issues. When the issue is one as contentious as the conflict between Israel and Palestine, there is not an abundantly clear way to discuss the issue without the ostracizing entire fields of thought. The debate is so deeply rooted in the politics of the issue that to even simply encourage the celebration of Palestinian culture often results in being labeled as anti-Semitic. This is a reality the members of SJP are keenly aware of. When Daas and Williams, the organization’s secretary, talk, they have a tendency to speak in tandem, finishing and building off ideas to present wholly articulate and nuanced opinions. This surfaces when they talk about the student response to their organization. “There have been a couple students out there on campus who express concern,” Williams said. “I think there’s a miscommunication about what SJP is,” Daas continues. “There’s some negative connotations attached to the name, but you shouldn’t define an organization based off what others do we our own separate entity,” Williams delivers home. Daas and Williams do not want to let the negative loop of the political discourse bog down the idealism of their organization’s goals. On Feb. 26, SJP held a Cultural Food Night aimed at putting the joys of Palestinian culture on full display. They had an extensive culinary spread, music and an open discussion on what makes Palestinian culture so special. Despite the fact SJP is a national organization, Butler’s chapter wants to keep the focus insular, as there is lots of work to be done on our campus regarding having respect for different cultures and ideas. “It’s also just educating people on the conflict as well, to have further discourses on not just the Israeli-Palestinian conflict, but to maybe make connections to how we are here Butler as a university or in our community,” Williams said. The crevice created by this conflict will not be fully bridged by a university organization. SJP is looking to create a discourse that is not corrosive or violent, a discourse that embraces instead of rejects. These bold students are writing their own story, by taking the initiative to found a club in a tumultuous environment, educating and inspiring in the face of adversity.